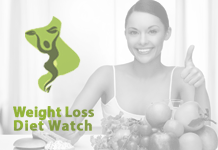 Home WEIGHT LOSS TIPS Is It Safe To Choose Gastric Bypass Surgery For Weight Loss? Did you choose gastric bypass surgery to lose those extra pounds of your body? Then try to know more about it before you select the surgery. Any kind of weight-loss surgery can mainly alter the basic anatomy of your digestive system. These surgeries can significantly minimize the amount of food that you actually eat and digest. Weight loss surgeries mainly help in reducing the risk of developing other health conditions, which mainly associate with your obesity problem. Gastric bypass surgery is the most favored weight-loss surgery and it is greatly preferred as it provides safety and very few complications for your health. In this surgery, your stomach is made smaller in size, which accordingly allows the food you eat to bypass through the part of your small intestine. After the surgery, you can feel full much quicker than when your stomach was in its original size. This procedure of bypassing a part of small intestine mainly helps you to absorb only fewer amounts of calories and subsequently leads to weight loss. 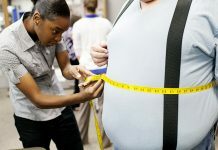 Is there any risk involved with gastric bypass surgery? 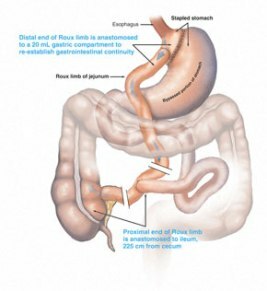 Some of the most common risks involved in this gastric bypass surgery are infection at the site of the surgery, a leak from stomach, which flows into your abdominal cavity and formation of blood clot in your lung or even you can experience an infection at the place, where your intestine is connected with your stomach. In almost 1/3rd of all people, who have undergone this surgery for solving their obesity problem, gallstones or any other nutritional deficiency conditions like anemia are developed. So, try to consider various suggestions and advices given by various physicians and then try to make wise decision regarding your weight-loss surgery. Is it possible to re-do the gastric bypass surgery, if you regain your weight? In general, it is not recommended to perform gastric bypass surgery again and again, unless you experience any medical complication resulting from the procedure. By any chance, if you regain your lost weight after gastric bypass surgery, then you have to obviously lose it by practicing the traditional ways of weight loss. 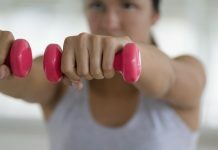 As you all know, these traditional ways can significantly include minimizing your calorie intake and improving your routine physical activities. The main aim of gastric bypass surgery is to endorse significant and lasting weight loss in those individuals, who are severely suffering with overweight problems. 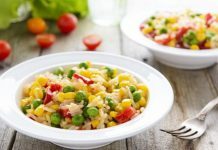 It will also significantly help those people, who have been unable to achieve and maintain a healthy weight through traditional dietary programs and body workouts. Gastric bypass surgery doesn’t give any assurance that you can lose all of your extra body weight. If you actually wish to enjoy the main success of the surgery, then you have to regularly follow a healthy diet and better exercise program after the surgery. Next articleHow To Find Healthy Food During Tough Economic Times? How To Achieve Ideal Body Weight With Proper Weight Management?